“The Honourable Minister expressed the need by the relevant security agencies to as a matter of urgency tackle the propagation of hate speeches especially through the social media particularly by some notable Nigerians,” the statement read. The minister was also quoted as saying that the Armed Forces is currently synergising with other security agencies through intelligence sharing and joint operations to address the various security challenges facing the country. 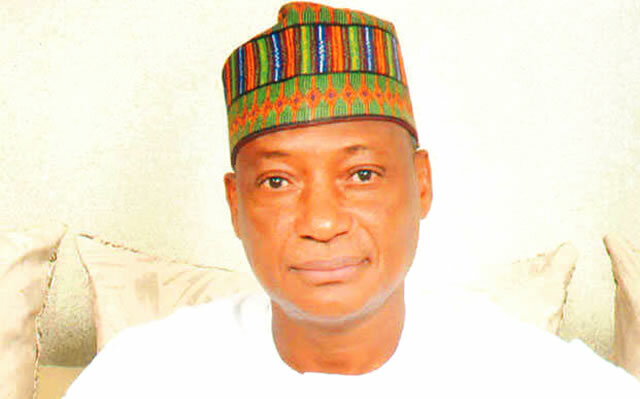 In compliance with the presidential directive for the establishment of National Commission on the Control of Small Arms and Light Weapons in the country, Dan-Ali said the ministry, in conjunction with the Office of the National Security Adviser, has set up a committee to work out modalities to transform the Presidential Committee on Small Arms and Light Weapons to a national commission. He was also quoted as saying that during the period under review, the Military Pension Verification Exercise was conducted in all the 36 states and Federal Capital Territory. The process, he said, enabled the Military Pension Board to update its data payroll and ensure financial savings for the government. He was also said to have briefed the council on the update of the presidential visit to the Royal Kingdom of Jordan from December 2-3, 2017. “The visit provided an avenue for implementation of agreement for the procurement of Excess Defence Articles from Jordan. “The Agreement entails rebuilding and modernisation of some of our military platforms,” the statement added. The minister thanked Buhari for his continuous funding of the Armed forces to perform its constitutional role especially now that Nigeria is fighting multiple security challenges. He also informed the council that in line with the decision of the present government to increase the strength of the Armed Forces to address manpower problem, the three services have in the last two years enlisted and recruited qualified Nigerians. He added that the ministry is building befitting accommodation for members of the Armed Forces in the six geopolitical zones. Similar accommodations, he said, were built by Defence Headquarters and inaugurated in Abuja last month. This, he added, has gone a long way to solving accommodation problem and boosting the morale of personnel serving in Abuja. Others who attended the meeting were the Secretary to the Government of the Federation, Boss Mustapha; National Security Adviser, Maj.-Gen. Babagana Monguno; Chief of Defence Staff, Gen. Abayomi Olonishakin; Chief of Defence Intelligence, Air Vice Marshal Mohammed Usman; Director-General, National Intelligence Agency, Ambassador Ahmed Abubakar; and the Inspector-General of Police, Ibrahim Idris.